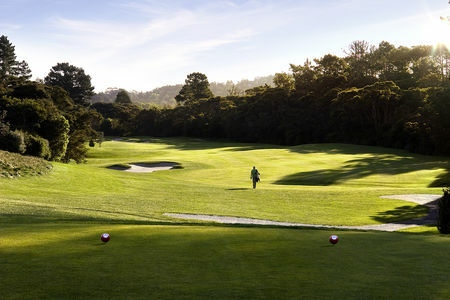 New Zealand Golf, the national golf association, reports that as many as 480,000 New Zealanders play yearly. And with some 400 courses available, the game is the country's number one sporting activity for men and number two for women. 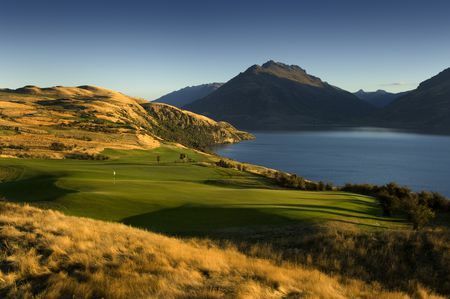 There are certainly plenty of opportunities to create exciting courses here, since New Zealand is a land of incredibly varied and spectacular landscapes. Because it is in the southern hemisphere, the country's warmer climes are to the north (rather than to the south, as is true for European, Asian and North American countries), but it was nevertheless in southerly Dunedin that the game was first played here. 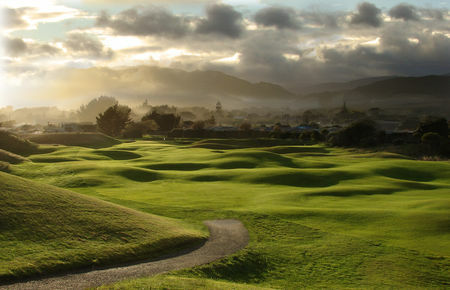 That was in 1869, and an attempt was then made to create a course in Otago; soon, however, the North Island took the lead, in particular with the establishment of Royal Wellington. 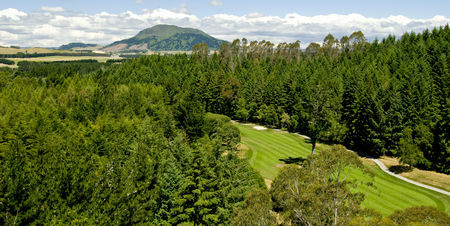 Little of the great boom in course construction that Australia experienced in the Twenties carried over to New Zealand. 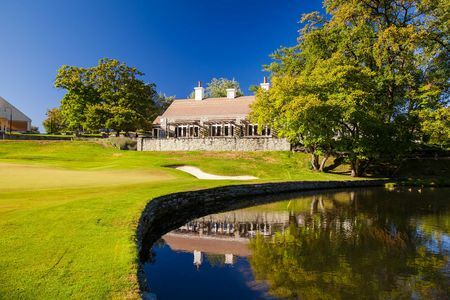 Alister Mackenzie did take a side trip here in 1926 to work on the course for Titirangi Golf Club in Auckland, and while the club is rightly proud of this heritage, it has not been entirely vigilant when it comes to preserving the great man's bunkers. 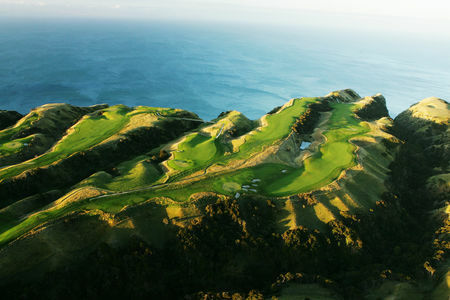 Of late a couple of newer layouts, Kauri Cliffs and Cape Kidnappers, have earned deserved recognition. 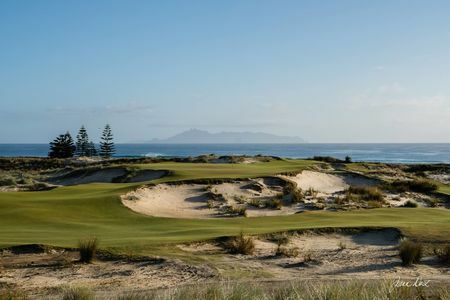 Mention should also be made of Paraparaumu Beach's oceanside layout, where the New Zealand Open has been played twelve times, most memorably when Tiger Woods took part in the tournament as homage to his native Kiwi caddy, Steve Williams, in 2002. 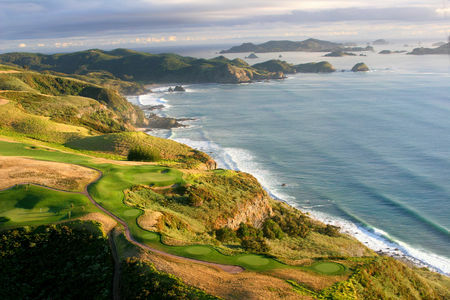 Despite its small size and remoteness, New Zealand has produced a number of top players. Bob Charles was victorious in the Open Championship in 1963, and maintained a reputation for being the finest putter on the planet from mid-Sixties to the mid-Seventies. 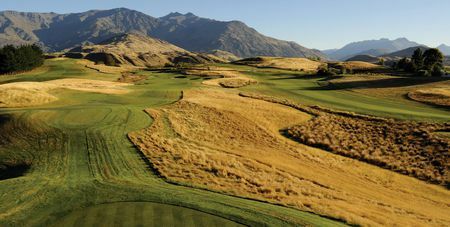 Since then Michael Campbell beat out Tiger Woods to capture the US Open in 2005, and a number of other Kiwi players are currently competitive at international events, with eight new being ranked among the leading 200 players worldwide.